E! Entertainment Television, LLC (more commonly known as E! and formerly E! : Entertainment Television) is an American basic cable and satellite television channel that is owned by the NBCUniversal Cable division of NBCUniversal. It features entertainment-related programming, reality television, feature films and occasionally series and specials unrelated to the entertainment industry. As of February 2015, E! has an audience reach of approximately 94,296,000 American households (81.0% of households). The channel is also available in Canada, which broadcasts original programming at the same as the United States and localized versions across Europe, Asia and Australia. E! was originally launched on July 31, 1987 as Movietime, a service that aired movie trailers, entertainment news, event and awards coverage, and interviews as an early example of a national barker channel. The channel was founded by Larry Namer and Alan Mruvka. Early Movietime hosts included Greg Kinnear, Paula Abdul, Katie Wagner, Julie Moran, Suzanne Kay (daughter of Diahann Carroll), Mark DeCarlo, Sam Rubin and Richard Blade. E! is known for its live red carpet pre-shows for the industry´s three prominent award shows, the Primetime Emmy Awards, the Golden Globe Awards, and the Academy Awards, and is famous for its fashion critiques by Joan Rivers; Rivers also hosted post-awards specials under the title Fashion Police, which became a regular weekly series in September 2010. The network also produces a decent amount of documentary and biographical series, most notably E! True Hollywood Story; many of E!´s original specials are entertainment-related ranging from light fare (such as 25 Cutest Child Stars All Grown Up) to serious fare (such as 15 Most Unforgettable Hollywood Tragedies). It also produces specials centering on investigative and crime stories including E! Investigates, which features topical investigative reports on subjects ranging from child prostitution to teenage pregnancy. E! HD is a high definition simulcast feed of E! that launched on December 8, 2008; like the rest of E!´s sister lifestyle and sports networks owned by former parent Comcast Entertainment Group and subsequently the NBC cable networks, the feed broadcasts in the 1080i resolution format. Currently, filmed program content and all of the network´s post-2010 programs, along with limited pre-2010 content is carried in the format, with HD programming airing in a letterbox format on the SD channel (some films remain in 480i due to contractual or technical reasons). The HD feed is available on most cable and telco providers, along with both satellite services. 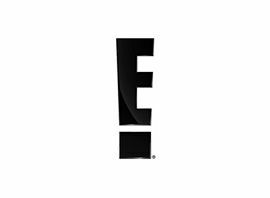 During E!´s run as a broadcast service in Canada, the E! Ontario version of the service until the December 2008 discontinuation of the E! broadcast television system was available in HD over Hamilton, Ontario-based CHCH-TV (channel 11) on its channel 18 digital signal, though the majority of E!´s programming outside of American primetime series before the shut down of the television system was not available in the format.